Every contractor who runs their own limited company needs to be aware of the punishing and controversial legislation known as IR35. If you put your head in the sand then you could kiss goodbye to not only up to 20% of your income after taxes, should HMRC investigate you, but penalties of up to 70% on unpaid taxes could also be charged. The key to getting your IR35 position solid is to manage the risk before signing any new contract, and then to ensure that you maintain a compliance file during the contract so that you have clear evidence of your status in the event of a future investigation. IR35 is a very complex topic and requires understanding of decades of employment case law. 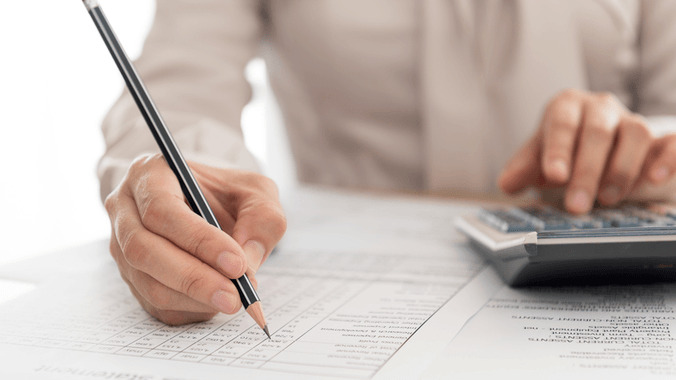 Tax experts and HMRC inspectors themselves have different interpretations of the case law. It is not possible to accurately determine IR35 status just by looking at the written contract. The working practices must be examined, and these will not be fully expressed in the written contract. The working practices will also override any contractual clauses in the contract when examined in court. The careful examination of working practices will help to establish if there is sufficient evidence to consider the relationship one more akin to employment or of one closer to a business to business relationship. Judges spend hours in tribunals examining such cases. Fortunately, at ContractorCalculator we have built an online test consisting of over 100 questions that will enable you to get an accurate judgement as to where you sit on the employment status spectrum. The test has been used by over 100,000 contractors to test their status and gives the same result as all historic IR35 court cases. There are some factors that will cast you securely outside of IR35, and others that will point directly to employment. As for the rest, it is a case of weighing all the factors up according to how much weight has been attributed to them over years of case law. You can take this test yourself to obtain an accurate evaluation for free, in just 15 minutes. See online IR35 status test on IR35Testing.co.uk. If the test indicates a strong fail then you may decide, after further research, that you might be able to make changes to your contract and working arrangements with your client so that your contract is outside IR35 and passes the test. If this is the case then we would recommend you get an expert to help you. A suitably qualified IR35 legal expert will cost a minimum of £100 per hour - which sounds expensive - but you may only need them for half an hour. Once you have taken the online test you will be in a position to know whether there is a chance for you to improve your status. If you have passed, you can simply pay the £25 fee to download the comprehensive pass report which includes a certificate - this will serve to prove you have conducted due diligence. If you have failed you can consider buying the test report, which will tell you why you have failed, and how it could be fixed. You may then decide that you are in a position whereby you could change your contract and agree those changes with your client. If this is the case then it would be worth engaging an IR35 expert to review your contract and working arrangements in much more detail. They will also try to negotiate changes on your behalf with your client. This is also a service we can offer you via the online test on IR35Testing.co.uk. If changes are made enabling you to pass, then a pass report and certificate is issued. The fee for the help starts from £125, and there are no guarantees of success, but compared to the extra tax you will have to pay, the fees are small. Your contract will need to accurately reflect your working arrangement with the client. Passing IR35 is not a paper exercise though. If the contract does not reflect working practices correctly it will be considered a sham by HMRC and the courts and will not protect you. The most effective approach is for either you or your expert to approach the agency to negotiate your contract for IR35 compliance. And the most realistic way is to succeed is to suggest the terms you wish to have changed in your existing contract. If the client has agreed to the changes then you will be in a stronger position. But sometimes the client may agree in principle that the contract does not reflect the true arrangement, but for operational reasons will not be able to agree to the contract itself being changed. Either way, it is advantageous to get a client to sign a written document confirming the arrangements. This will go into much more detail than any contract, and will provide an excellent defence should HMRC come knocking at a later date. If you have used our online IR35 testing tools and purchased the test report and certificate (£25), it serves as the confirmation document. There is a sign off sheet for the client at the back. Ask them to sign this to help provide you with further protection. If you have the paperwork in place then it is important to make sure that you carry out the work according to the contract. There's no point proving a lack of control on paper for example, if you then let the client push you around from task-to-task like a tail-end Charlie. So, ensure your working practices are right so that you conduct yourself like a proper business and that your working practices adhere to the contract document and any confirmation of arrangements. Avoid becoming 'part and parcel' of the organisation by distinguishing yourself as an independent consultant. If your working practices fail to adhere to the contract, and you appear to be part of the corporate furniture then the contract will be deemed sham and ignored by HMRC and in any court tribunal. It is advisable to keep a file detailing all the activities and paperwork to back up any 'outside IR35' decisions you have made. HMRC can chase you up to 6 years later, so it is important to have a history proving that you took 'reasonable steps' to reach your decision. Failure to do so could result in large penalties if HMRC win a dispute against your decision. Sign up to ContractorCalculator for latest IR35 updates and guidance. Join thousands of contractors by receiving up-to-date news, guidance and reaction from the sector in your inbox.